The Endeavor J-Series Fiber Laser is now available! Click the logo to learn more or download the brochure. TJS, Inc. (TJ Sales Associates, Inc.) is a technical laser company supporting the industrial, semiconductor, scientific, medical and aesthetic laser markets worldwide since 1980, offering fiber laser systems, laser repairs, laser services, laser components, laser refurbishing, and industrial lighting. TJS provides our customers with comprehensive, technical support and laser service as well as builds state of art fiber laser systems. We stock replacement laser components needed for most lasers and offer laser repair services for Flash Lamp pumped, Diode, Fiber and CO2 lasers. With its Corporate Headquarters located in Denville, New Jersey and our modern manufacturing, engineering, and laboratory facility in Sanford, Florida just outside Orlando, this private corporation is one of the market leaders in laser flash lamps and specialty light sources. Our experience as an industry leader has allowed TJS to partner with the OEM flashlamp manufacturers providing customer solutions and the highest quality OEM flash lamps at distribution pricing. With over 140 years combined laser related experience, TJS offers a technical staff unparalleled in our industry providing you the best possible source for laser service, laser repairs, laser components, and system upgrades. technical support for Nd:YAG, Nd:GLASS, Ruby, Alexandrite, Ho:YAG, Er:YAG, CO2 and many additional laser systems. For over 30 years, TJS has been the largest U.S. distributor and consumer of laser flashlamps. TJS has been able to leverage this reputation and offer our customers the exact OEM flashlamps at distribution pricing, guaranteed! 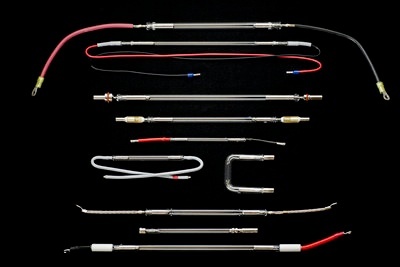 There are many additional items TJS can offer for most industrial and medical lasers including laser head & pump chamber components, cavities, di-filters, flow tubes, fibers, IPL hand piece optics & filters, mirrors, q-switches, lamp power supplies, rf-drivers, repairs and much more. Simply provide the OEM part number for your lamp and we will be happy to offer a competitive quote.